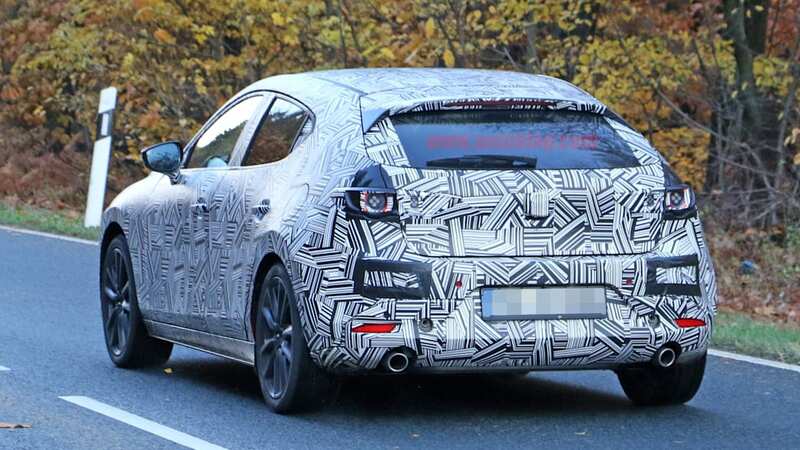 Just a couple of weeks before the official reveal, one of our spy photographers caught the next-generation Mazda3 out testing in minimal camouflage. 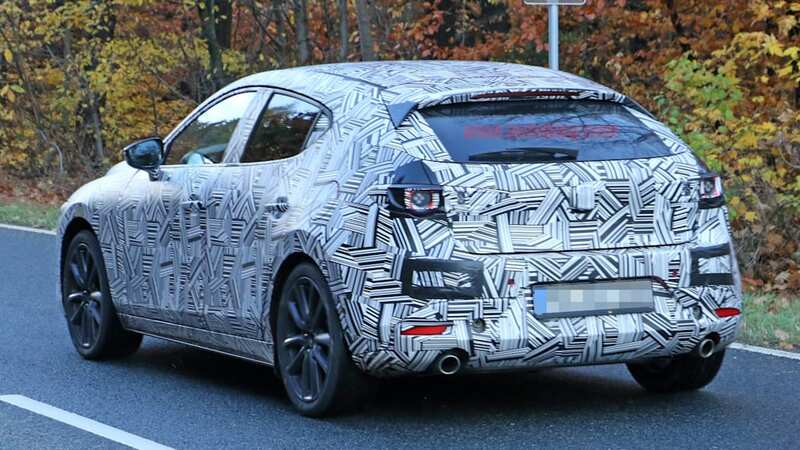 The car was a hatchback model, testing alongside a VW Golf and Audi A3, and was only wrapped in thin vinyl. 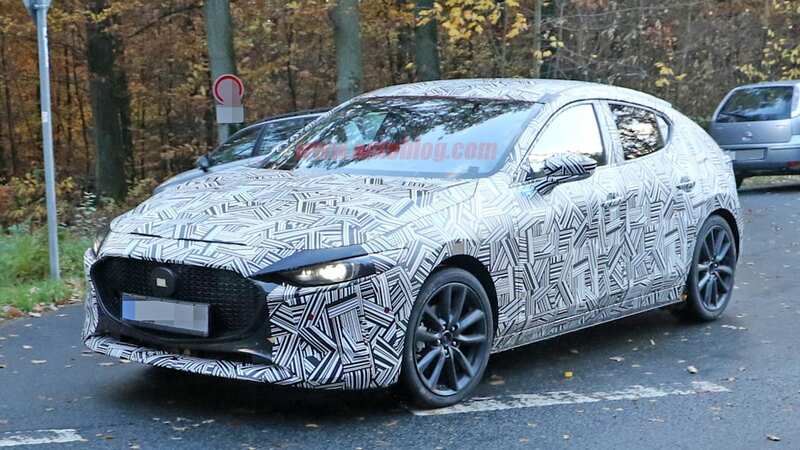 As a result, we can clearly see that the new compact Mazda hatchback looks just like the stunning Kai concept from last year's Tokyo Motor Show. 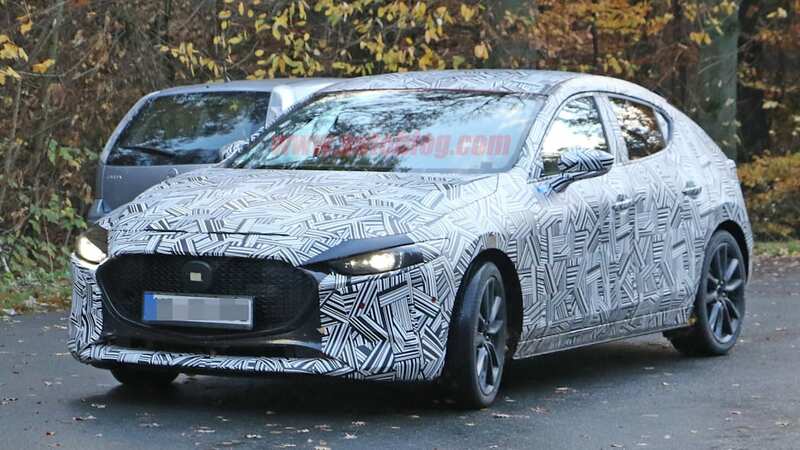 The car features effectively the same nose and profile of the concept. The main grille is larger than the current model, and it leans forward aggressively. The windshield is very low and sleek. The rear portion of the car is dominated by the very thick C-pillar that leans far forward, augmenting the car's athletic stance. 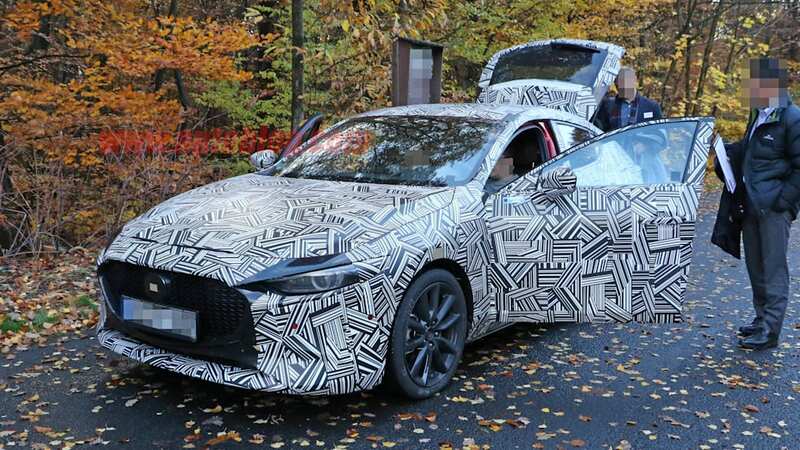 The window sill at the rear kicks up sharply, and the rear window doesn't wrap around or bulge out, giving the car a very tight, taut shape. It's not just the outside of the 3 we get to see. We get a good look at the interior. It also looks very much like the Kai's interior, with the focus being the driver. The gauges are flanked by air vents that blend into the shape of the instrument binnacle. The rest of the dashboard is left as uncluttered as possible. The climate controls and vents all reside in the same long horizontal plane. 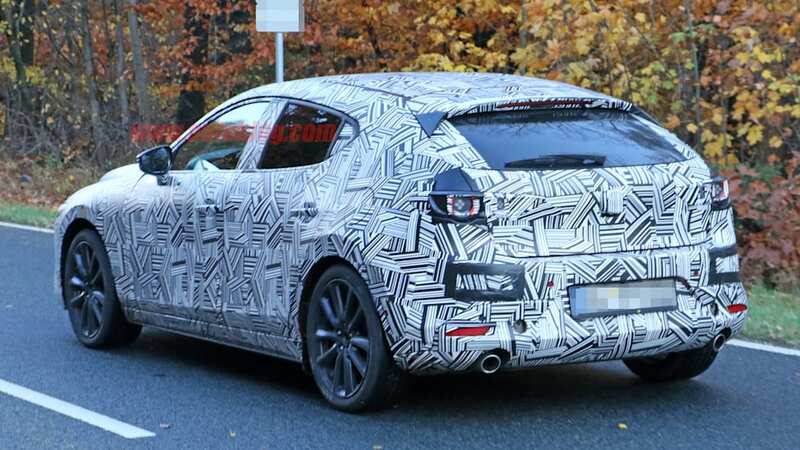 The infotainment screen, which appears to be touch-sensitive based on one spy photo, is canted toward the driver. 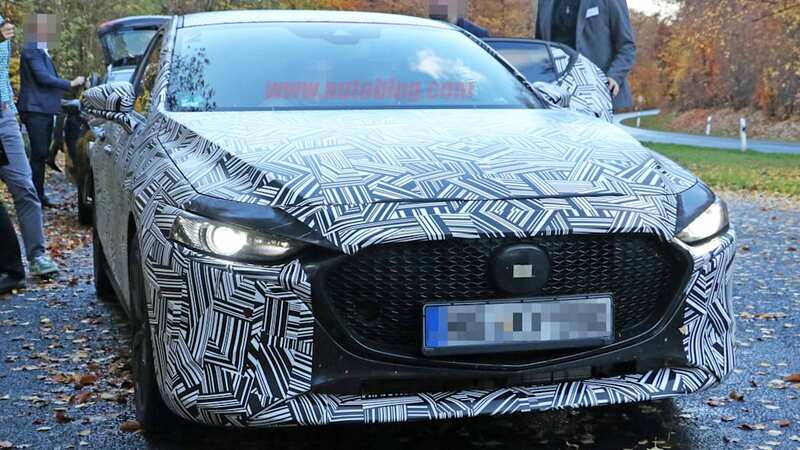 Mazda's rotary controller does return, as seen in the center console. 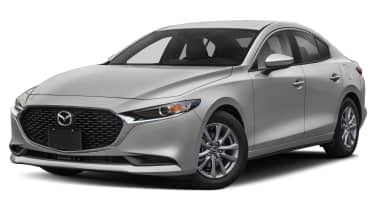 Also in the center console is the manual shift knob, which we expect, or at least hope, will continue to be available in the U.S.
We'll have answers to all our questions about the Mazda3 at the end of this month when it makes its debut at the L.A. Auto Show. 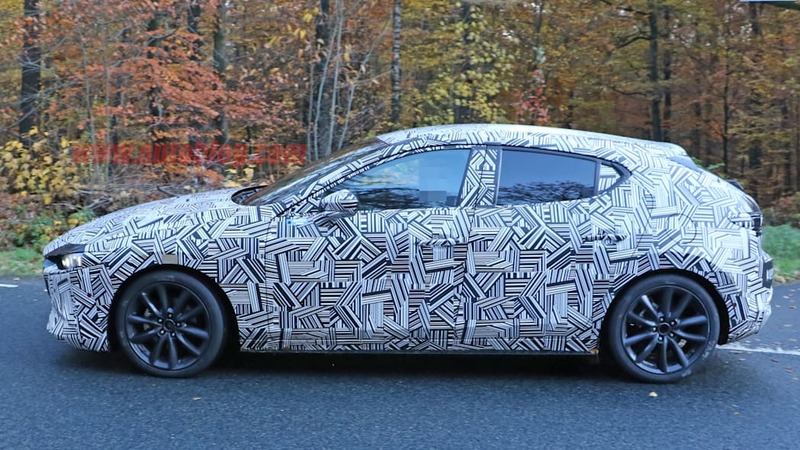 We'll also see the sedan version of the car. 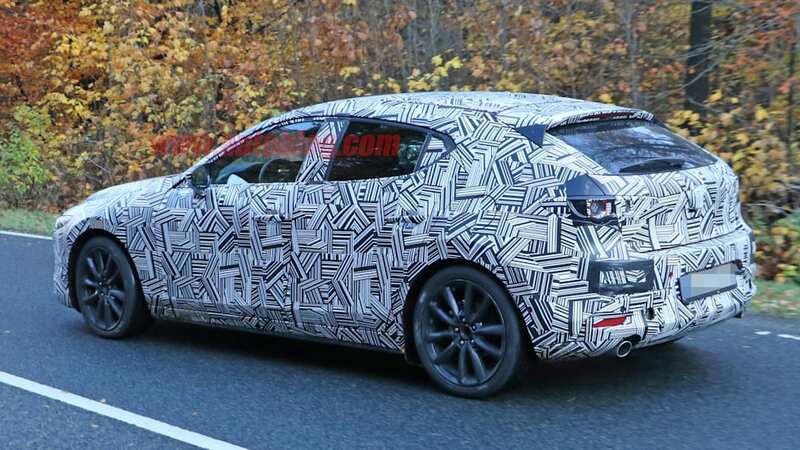 The powertrain is the biggest mystery at the moment. 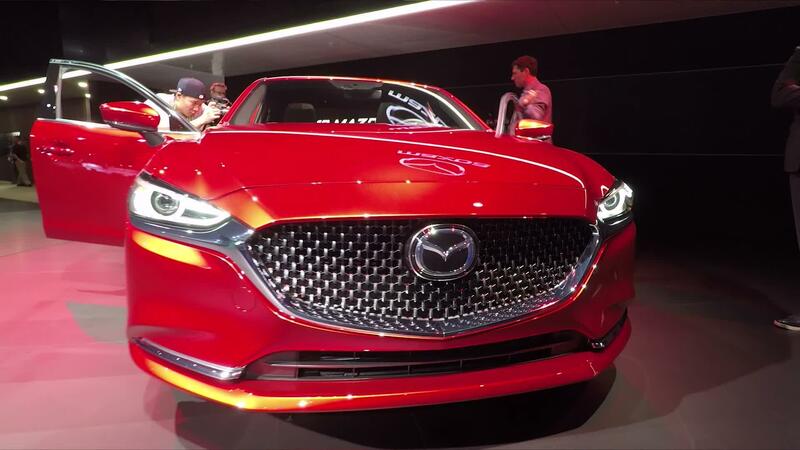 Mazda showed the Kai with the Skyactiv-X engine, Mazda's spark-controlled compression-ignition gasoline engine. 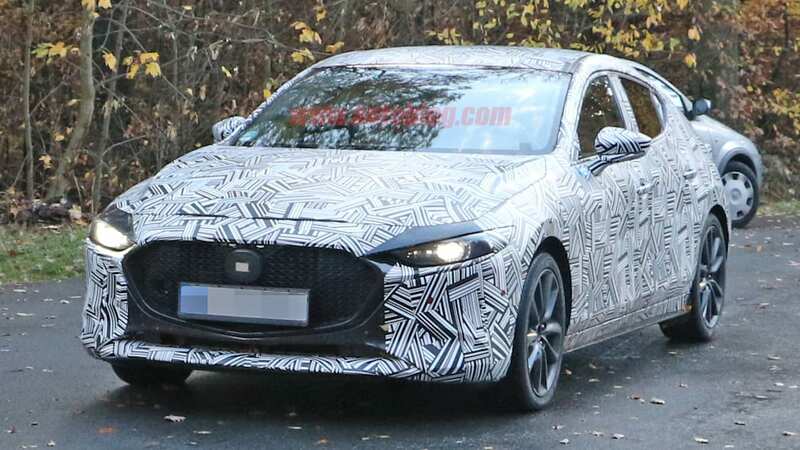 We've driven a development car with the engine, and Mazda seemed to intend the new Mazda3 to use it, but we're not sure if the engine will be ready for the car's launch. 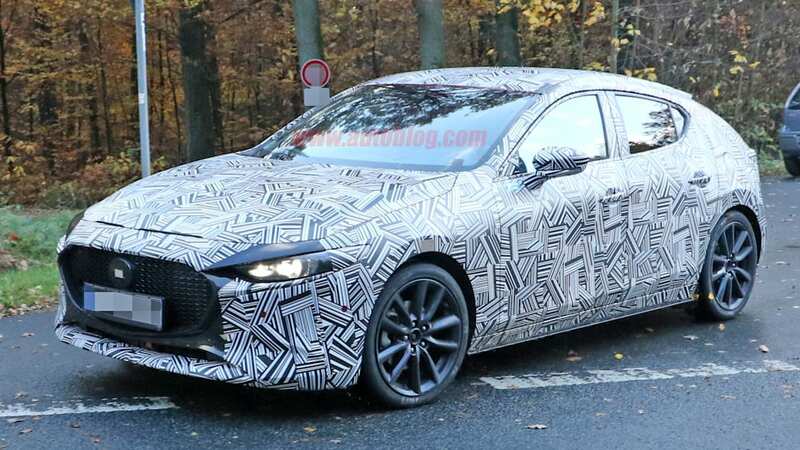 If not the Skyactiv-X engine, or perhaps in addition to, Mazda will probably use versions of its current engines. 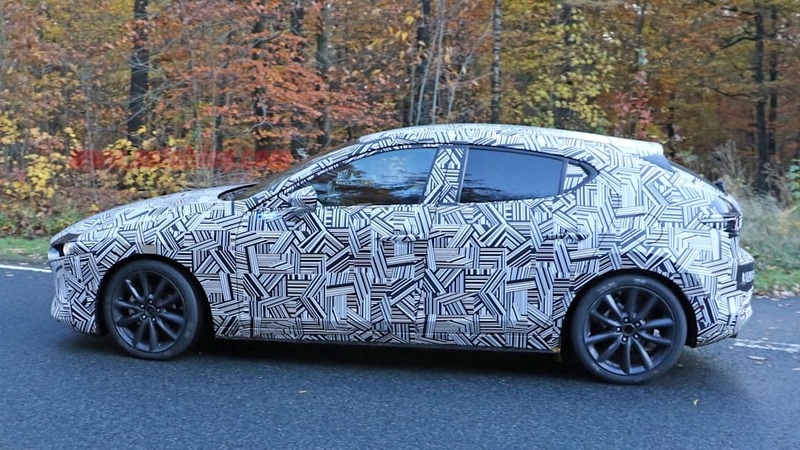 It could carry-over the naturally aspirated 2.0-liter and 2.5-liter four-cylinders currently used. 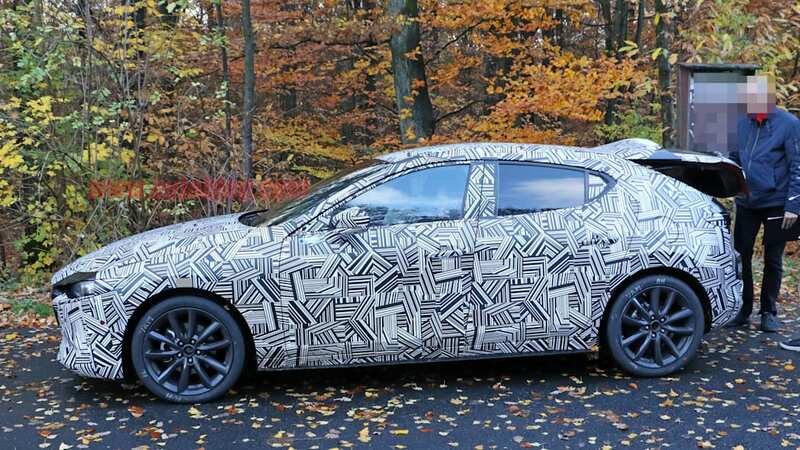 The latter may use the cylinder deactivation now used on the Mazda6 and CX-5. 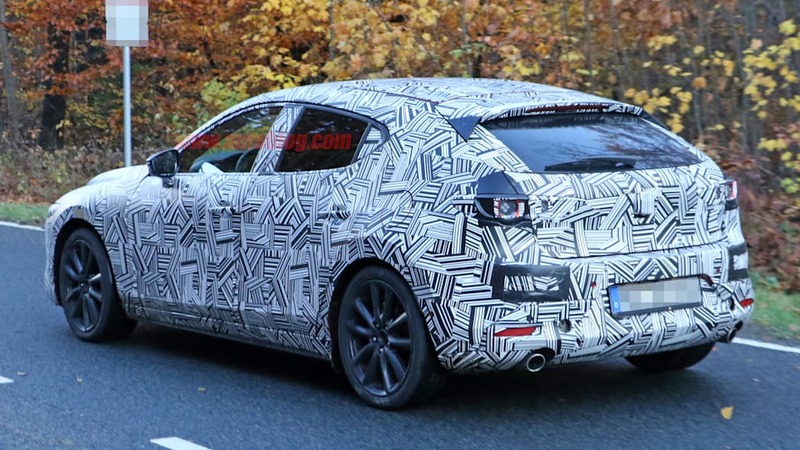 We would love to see the company finally offer the turbocharged 2.5-liter engine from the Mazda6, CX-9, and now CX-5. Stay tuned for the answers from L.A.